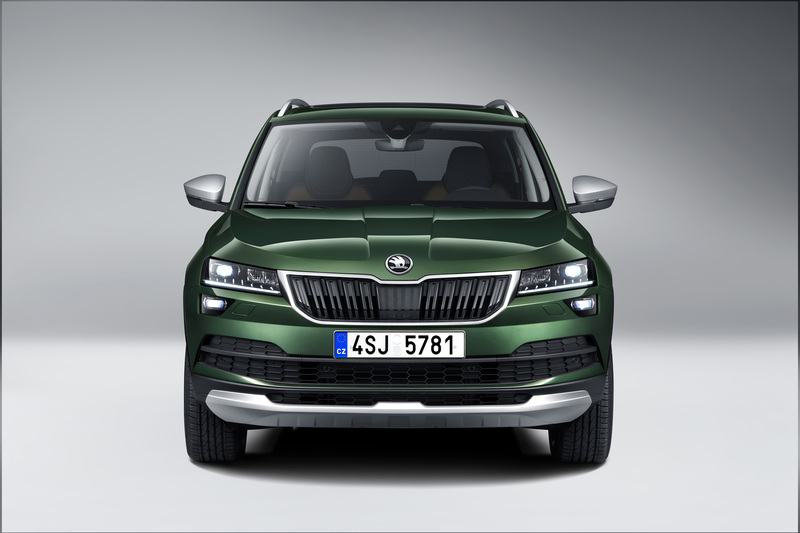 The KAROQ, a compact SUV, is the younger and smaller brother of the KODIAQ. 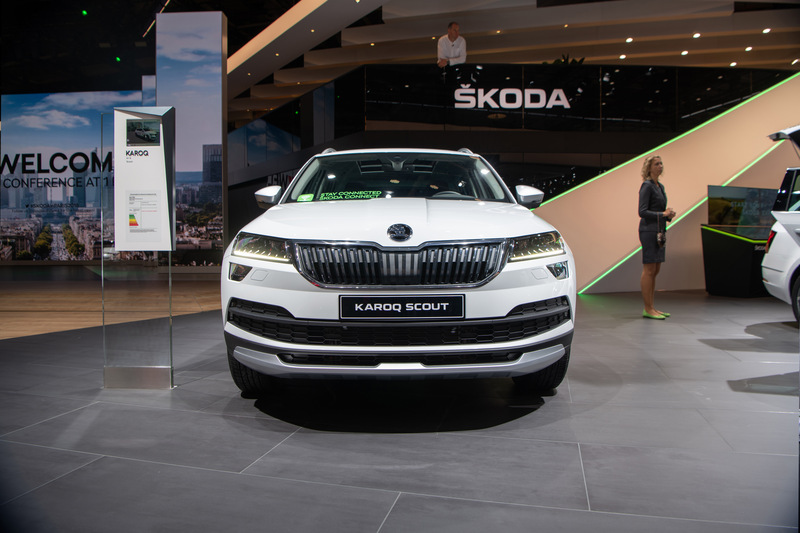 By introducing the special new KAROQ SCOUT, ŠKODA is extending its successful range of successful SUVs with a car offering even better off-road driving. 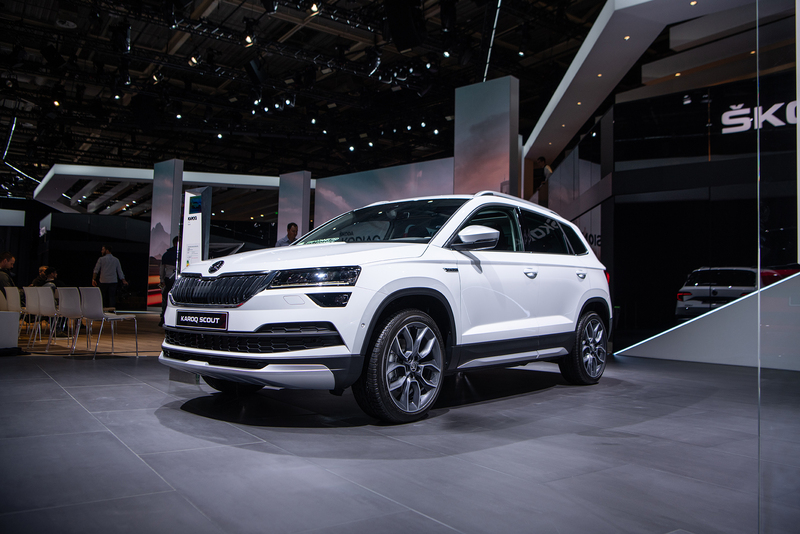 The plastic parts around the car protect the sleek bodywork both in the city and off the tarmac. 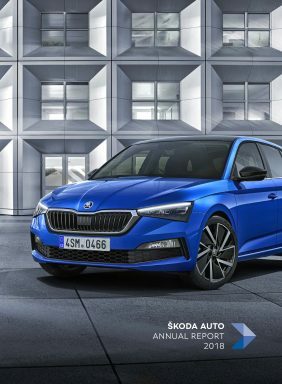 Its size and stylish design make it perfect for the city. 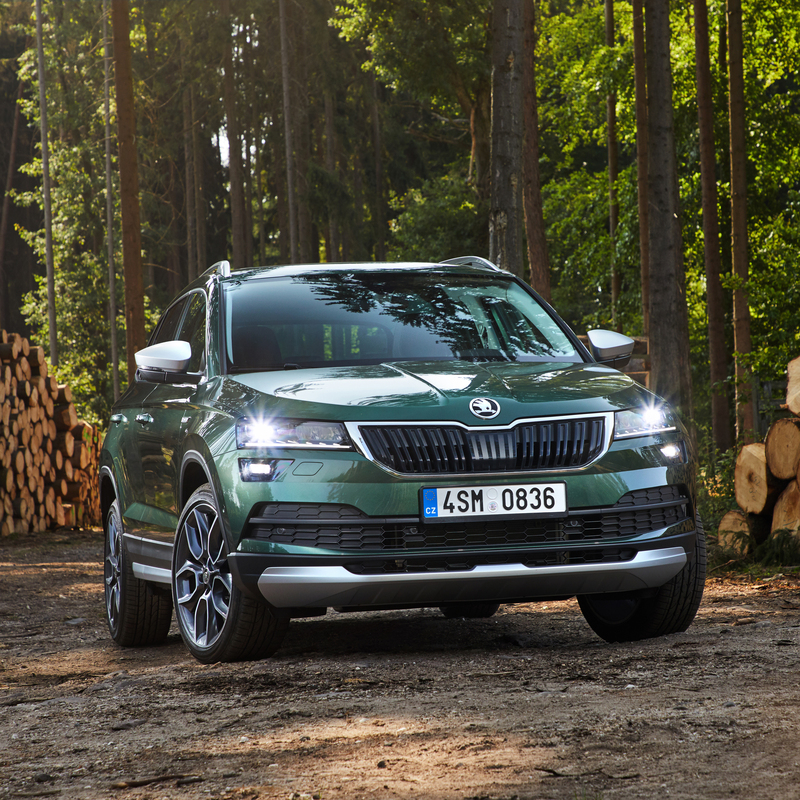 What’s more, thanks to the standard-fit all-wheel drive and Rough Road Package, the ŠKODA KAROQ SCOUT is well-equipped to drive off-road. With its outstanding luggage compartment, a whole raft of Simply Clever features, and the unique, sophisticated VarioFlex rear seat system, it couldn’t be more practical. 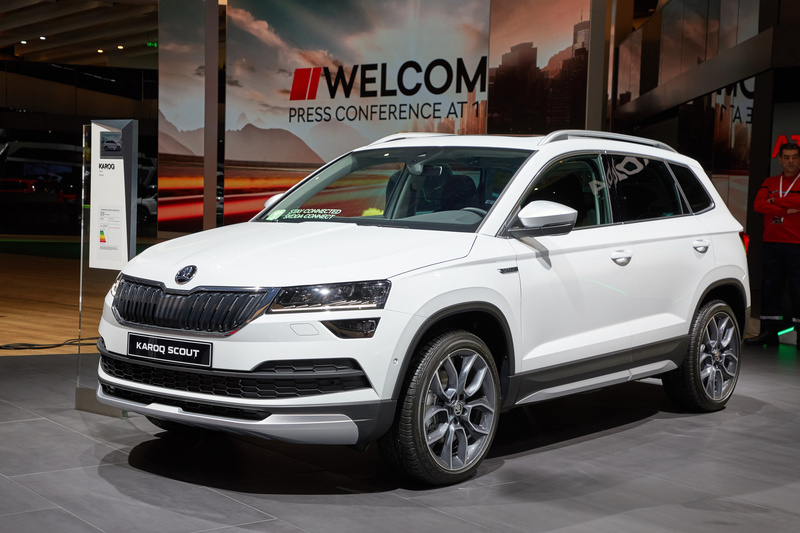 The high level of safety, backed up by a host of driver assists, extensive comfort features, and plethora of connectivity options, will make it a joy for all owners. 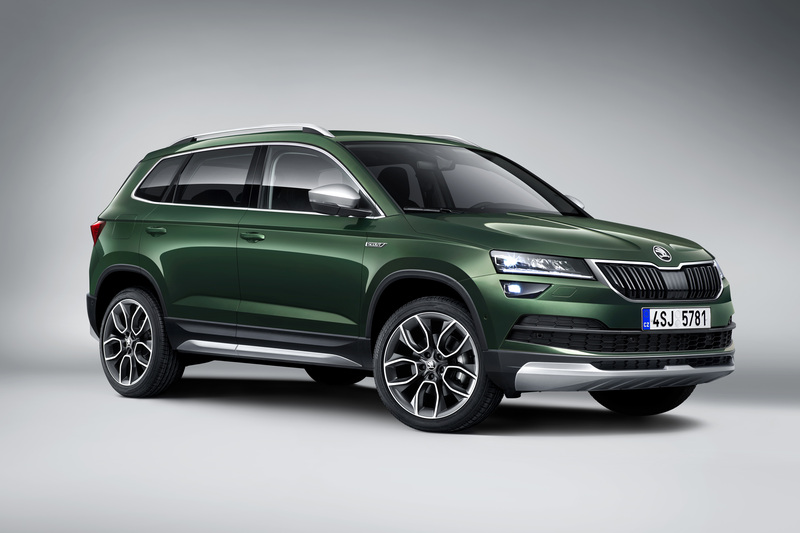 You can see how rugged the new ŠKODA KAROQ SCOUT is as soon as you look at it. 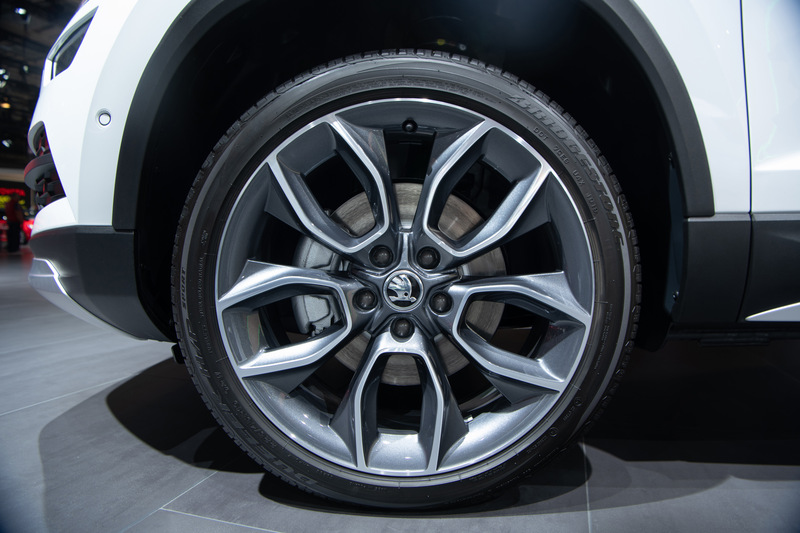 Beneath the distinctive wheel arch liners sit standard-fit Braga 18-inch polished anthracite alloy wheels, or the optional Crater 19-inch wheels. 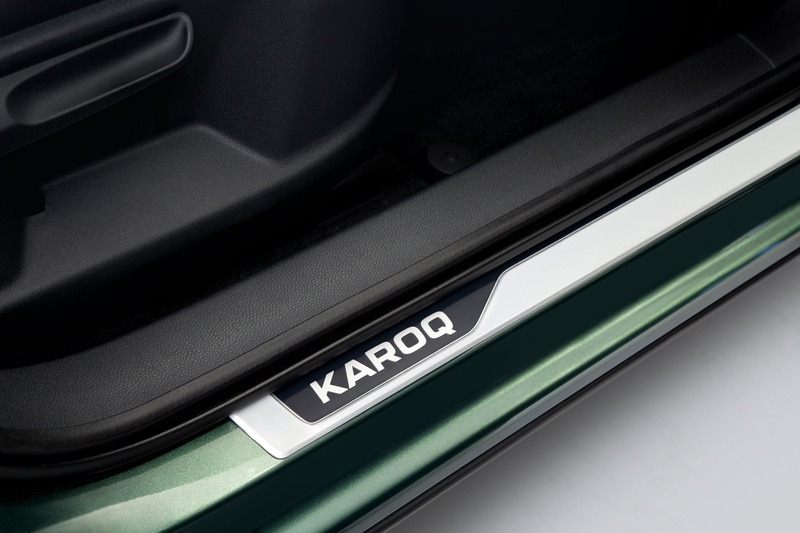 Chrome-plated trim graces the grille and side windows. 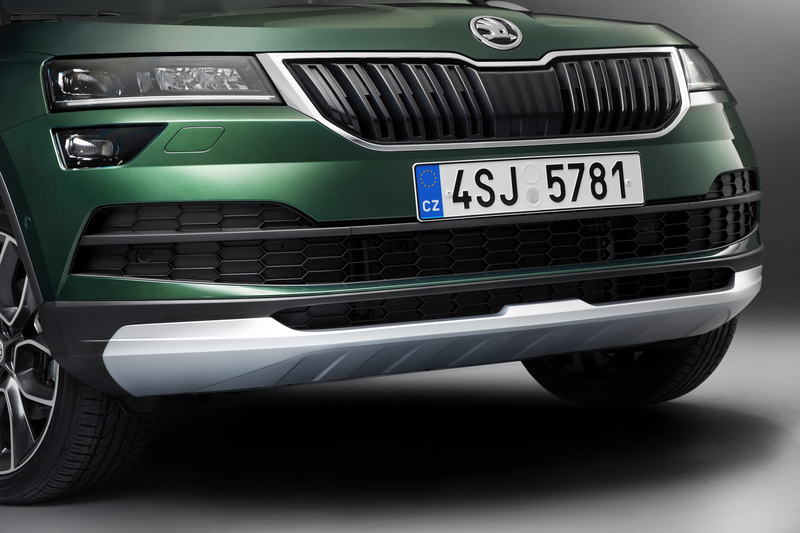 The lower section of the front bumper, the rear bumper, the wing mirror covers and the roof rails are silver. 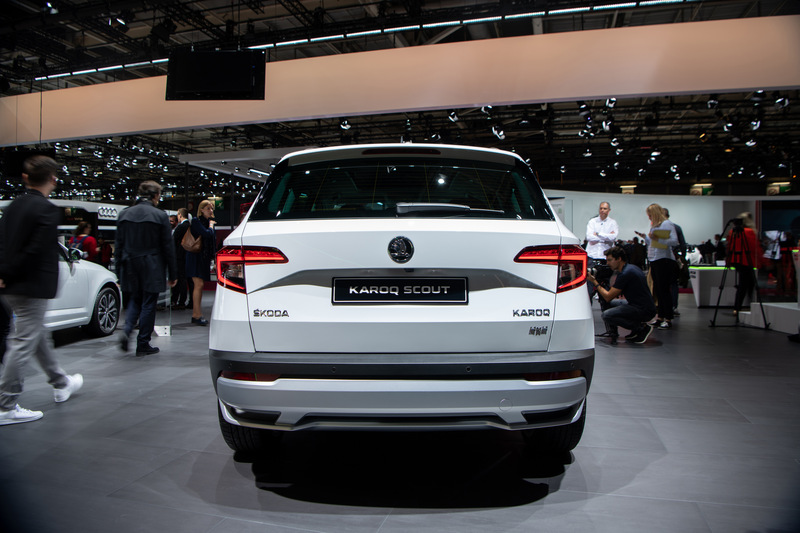 The distinctive look is rounded off by side windows and rear glass with darker tinting (SunSet) and SCOUT badges on the front wings. 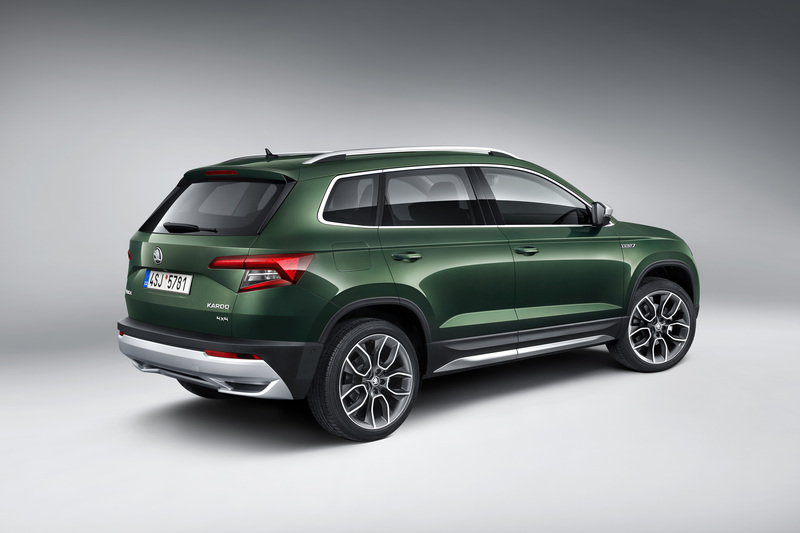 As is customary for SCOUT models, ŠKODA offers all three engines with all-wheel drive. 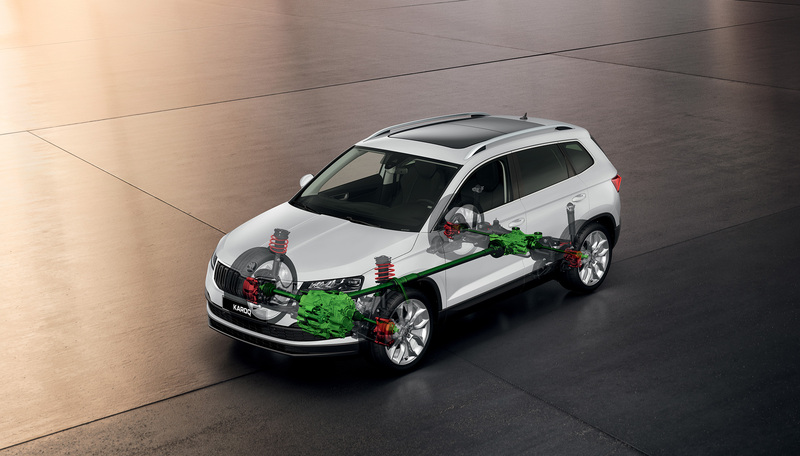 The latest generation of intelligent all-wheel drive distributes the torque among the individual wheels according to the current conditions. 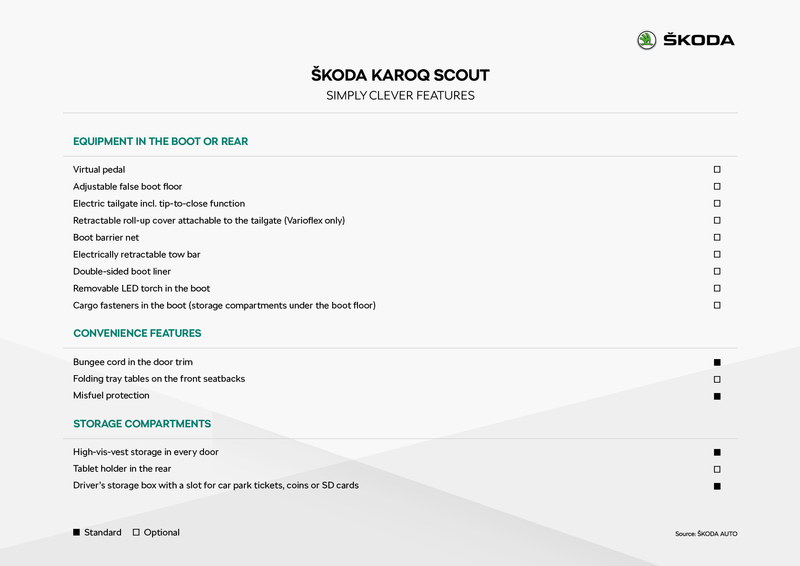 The interior features a multifunction leather steering wheel and optional Virtual Cockpit. 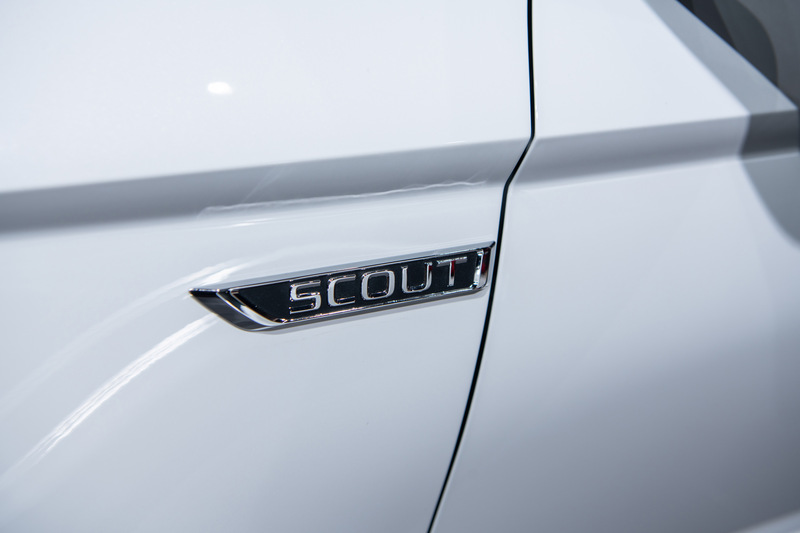 The SCOUT logo can also be found in the interior, where it is incorporated into the Piano Black dashboard. The Ash Brown trim in the door panels looks like dark ash wood. Dark Brushed decorative trim is available as an option. 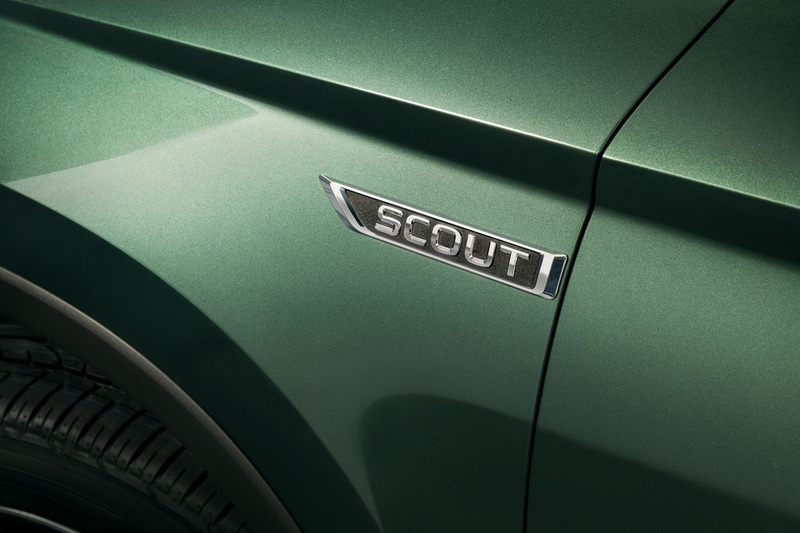 The front seats have black-and-brown covers and are graced with the SCOUT name, as are the door sill scuff plates. 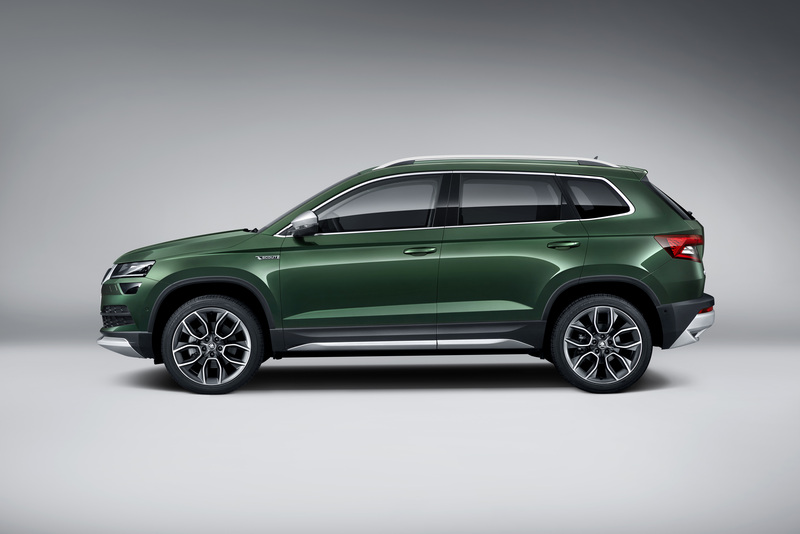 In spite of its compact external dimensions, since 2017 the ŠKODA KAROQ has offered a very roomy passenger compartment for an SUV, as is so typical of ŠKODA cars. 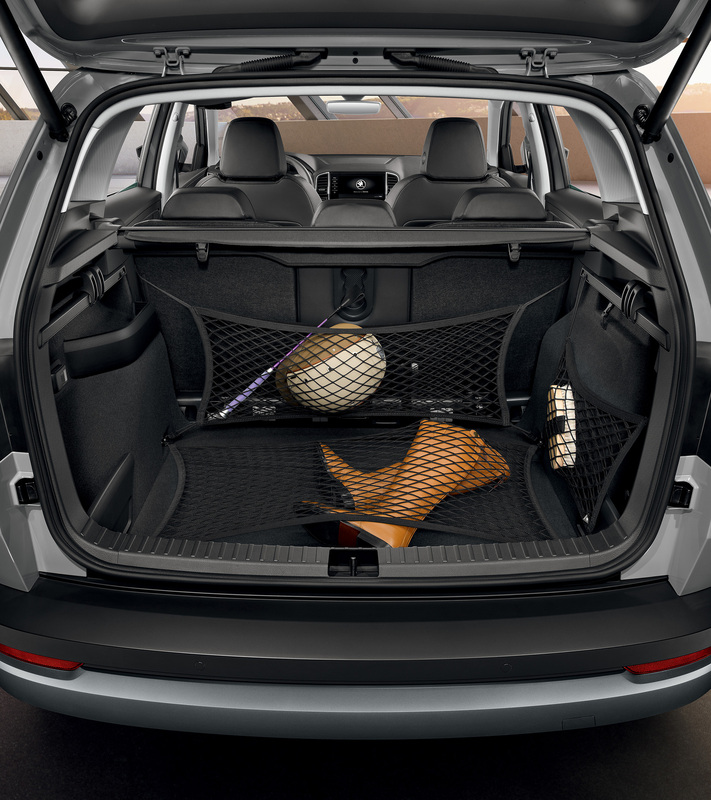 The luggage compartment capacity varies from 521 litres to 1,630 litres. 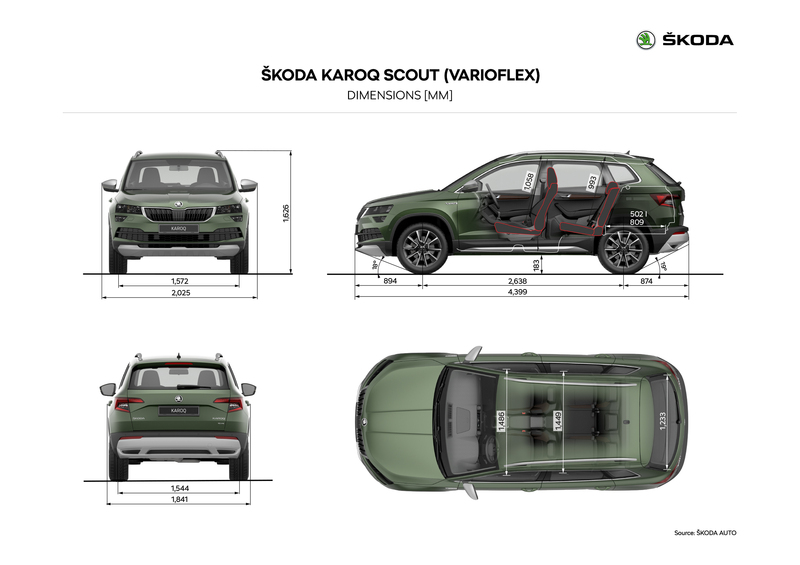 An optional VarioFlex system is available for the rear seats. 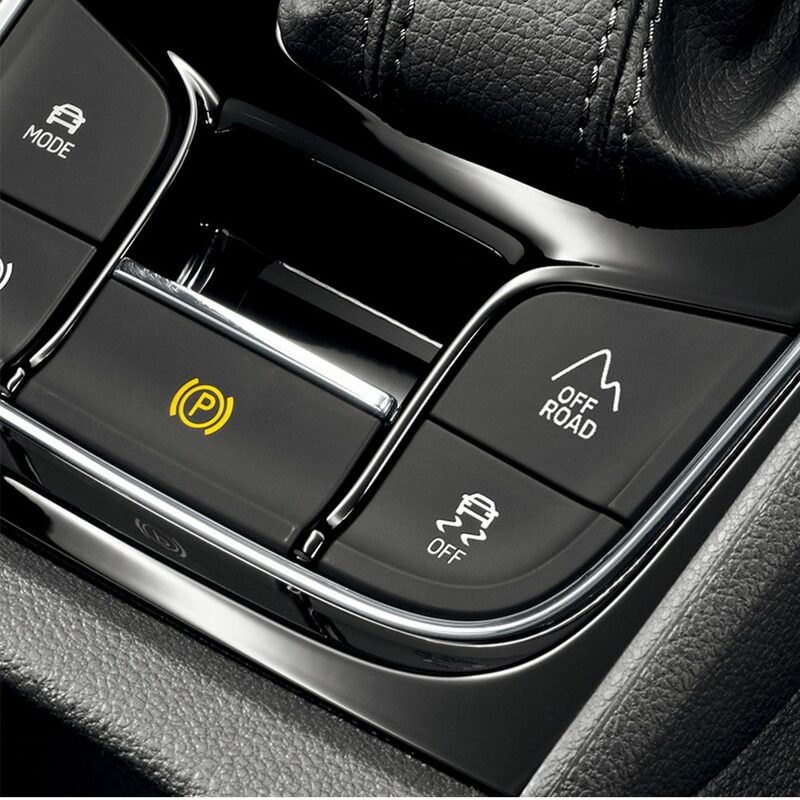 Driving Mode Select comes as standard, complete with a special Off-road button for those drives away from the asphalt. The Phone Box allows mobile phones to be charged inductively if necessary. 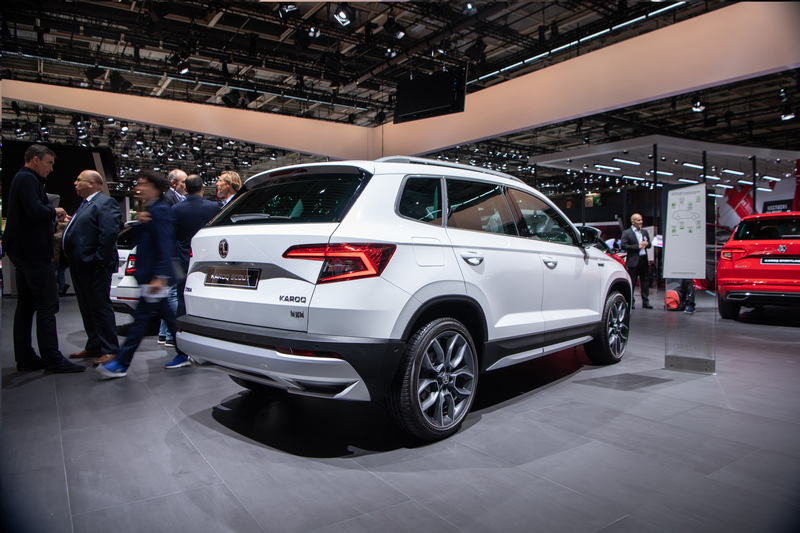 The fifth door can be opened with an intuitive movement of the foot under the rear bumper thanks to the optional virtual pedal. 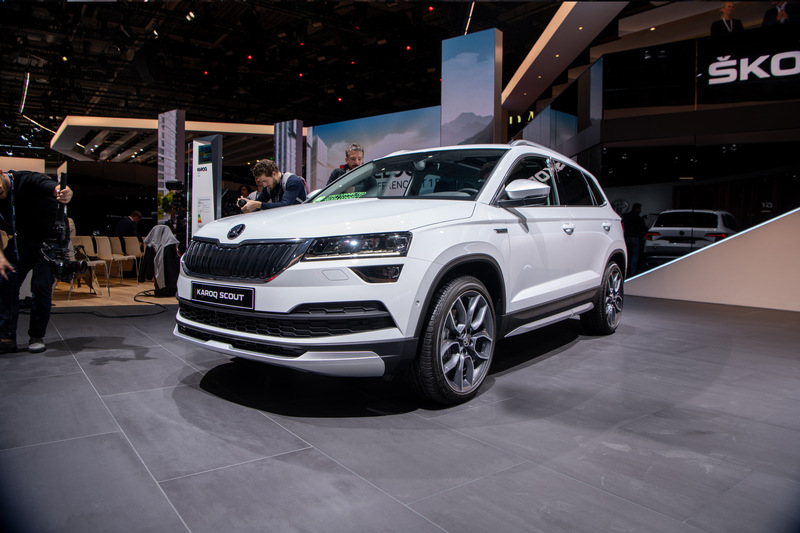 Light and Rain Assist helps drivers at dusk by automatically switching on the dipped beam and turning on the windscreen wipers in bad weather.